Vorsteiner, the tuning company from California has rolled the dices in its favor by giving an extra treat to the Mercedes-Benz buyers. 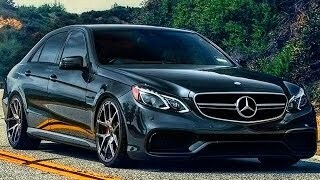 Today, here, we are talking about the Mercedes-Benz E63 AMG, released in 2010. The model received upgrades from tuner and gets its curtains off as Vorsteiner Mercedes-Benz E63 AMG 2014 through company’s performance kit. 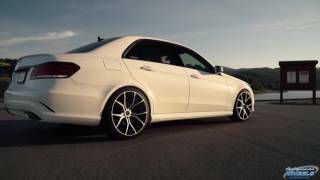 Let us have a look at the review of Vorsteiner Mercedes-Benz E63 AMG 2014 and get to know more about this revision. 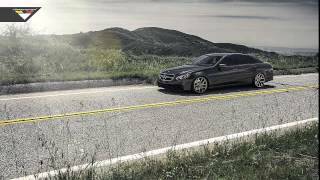 Marking its debut in 2010 the Mercedes-Benz E63 AMG got its power through a 6.2 liter naturally aspirated V8 engine. Moving ahead it received another upgrade through a 5.5 Liter twin turbo V8 generating 518 hp and an optional enhancement package to take the power output to 550 hp. However for the year 2014 the power output again gets a hike and this time got the company of California adding benchmarks through its additional performance kit. As part of their performance kit Vorsteiner Mercedes-Benz E63 AMG 2014 now includes a set of VSC-101 Forged Edition Sport Challenge wheels marking their glory in Gloss Brushed Shadow finishing. The set is further accompanied with an electronically controlled adaptive sport suspension which makes your driving experience much better. With the all new performance package added to Mercedes-Benz E63 AMG 2014, the model now comes equipped with a 5.5 liter twin turbo V8 generating total output of 550 hp and peak torque of 719 nm. 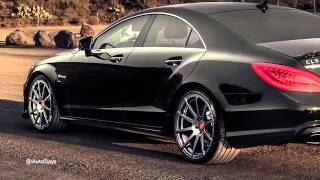 However with the Vorsteiner Mercedes-Benz E63 AMG 2014 inclusions the figures get a raise with 26 hp and touches mark of 577 hp and peak torque of 754 nm. With this the top speed Vorsteiner Mercedes-Benz E63 AMG 2014 reaches 186 mph and can sprint to 62mph from standstill in just 3.6 seconds.